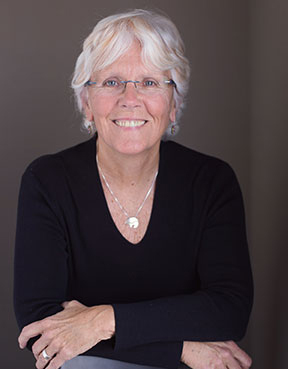 Jan Schwartz is co-founder of Education and Training Solutions, a web-based e-learning company that produces online courses for those in the health and wellness fields. She has worked in education since 1988. I went to massage school to learn more about anatomy. I was a pretty active person and wanted to know more about how my body worked, but I had had enough of college and wanted a more fun way to learn. As it turns out, I also loved learning about massage and how it helps the body heal in certain ways. My background was in education and training so I did gravitate towards education after I was two years out of school. I was able to combine the two careers and I became an instructor and then an education director. I was fortunate in that the owner of the school I attended was big on volunteering. She steered me that direction. I was a committee chair for my local AMTA chapter, and then I became a Commissioner for the Commission on Massage Therapy Accreditation (COMTA), then the Chair of COMTA. I did some volunteer work for NCBTMB and then became a Trustee for the Massage Therapy Foundation. For two years I was the massage therapy ambassador to the Academy of Integrative Health and Medicine (AIHM) and currently I am on the board of the Academic Collaborative for Integrative Health (ACIH) and also a member of the Board of Trustees for the University of Western States in Oregon. Volunteering has been a big part of my career in massage therapy. I stay engaged through my volunteer work, which is a great learning environment as well. I also go to relevant conferences and am now most interested in inter-professional education. That is, education that brings healthcare practitioners of different fields closer together in how they work with patients/clients. When I was Chair of COMTA we received our initial approval from the U.S. Dept. of Education. That was a long time coming. By the time our renewal came around we had developed the first set of competencies for the field of massage therapy. As a group we did some excellent work, that still exists today. I am proud to have been a part of those processes. More recently, I am proud to have been a co-leader of the team that developed competencies for optimal inter-professional practice through the ACIH. The best part for me now is meeting like minded people in the fields of health and wellness; working on how to make our healthcare system more equitable, more affordable and more patient/client centered. Once you get your practice going, whether you practice solo, in a group or at a spa, and feel comfortable with yourself in your new career, I would strongly advise therapists to get involved in local organizations that promote health and wellness. It could be a massage organization, or any other organization that you think would benefit from the expertise you bring. Don’t think too narrowly—it’s a great way to network! We have to carry the message that massage has many benefits to help people optimize their health.